Last week the Department of Justice, led by Attorney General Jeff Sessions, announced prosecutors will not pursue charges against former IRS official Lois Lerner. Lerner is infamous for her deliberate targeting of conservative tea party groups between 2010 and 2012 while leading the tax exempt department inside the agency. The news was immediately met with outrage by House Ways and Means Chairman Kevin Brady, who said the failure to reopen the case against Lerner (which was closed without charges under the Obama administration) only proves that Washington bureaucrats are held to a much lower standard than every day Americans living outside the protective D.C. bubble. "This is a terrible decision. It sends the message that the same legal, ethical, and Constitutional standards we all live by do not apply to Washington political appointees – who will now have the green light to target Americans for their political beliefs and mislead investigators without ever being held accountable for their lawlessness. Not only has the Department of Justice chosen not to hold Lois Lerner criminally liable for obstructing an official investigation by the Inspector General, the Department continues to defend the Internal Revenue Service’s unconstitutional actions against taxpayers in ongoing civil litigation," Brady released in a statement. “I have the utmost respect for Attorney General Sessions, but I’m troubled by his Department’s lack of action to fully respond to our request and deliver accountability. 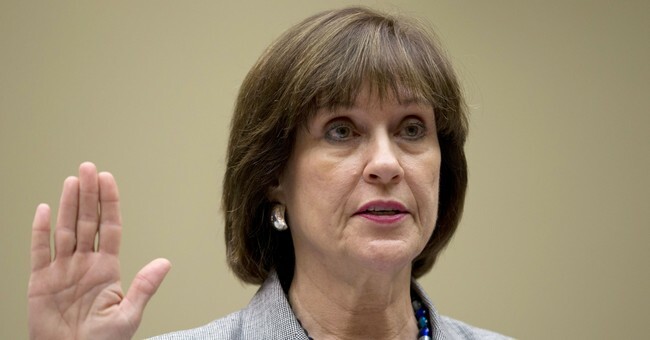 Today’s decision does not mean Lois Lerner is innocent. It means the justice system in Washington is deeply flawed," he continued. Further Judicial Watch, which is still pursuing documents related to the IRS targeting scandal and has for years, proving Lerner was at the heart of the targeting, is buying none of it and calling on President Trump to intervene. "I have zero confidence that the Justice Department did an adequate review of the IRS scandal. In fact, we’re still fighting the Justice Department and the IRS for records about this very scandal. Today’s [Friday's] decision comes as no surprise considering that the FBI collaborated with the IRS and is unlikely to investigate or prosecute itself," Judicial Watch President Tom Fitton released in a statement. "President Trump should order a complete review of the whole issue. Meanwhile, we await accountability for IRS Commissioner Koskinen, who still serves and should be drummed out of office." During the scandal, Lerner was contacted by the Department of Justice and inquired about whether conservative groups could be criminally prosecuted. The goal was to put at least one individual from a group in jail in order to "send a message," aka silence, opposition to President Obama.